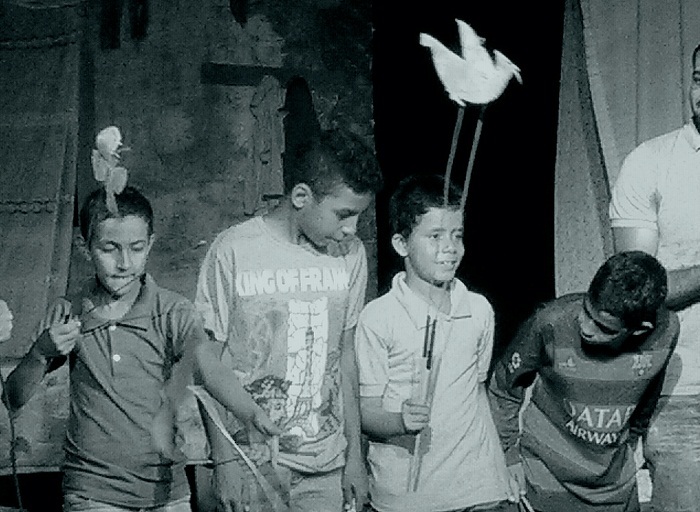 Last week, The Jesuit Culture Centre hosted three art performances by at-risk children at Al-Nahda theatre in Cairo’s Faggala district. The performances were part of the annual Art and Life Initiative organised by the centre. 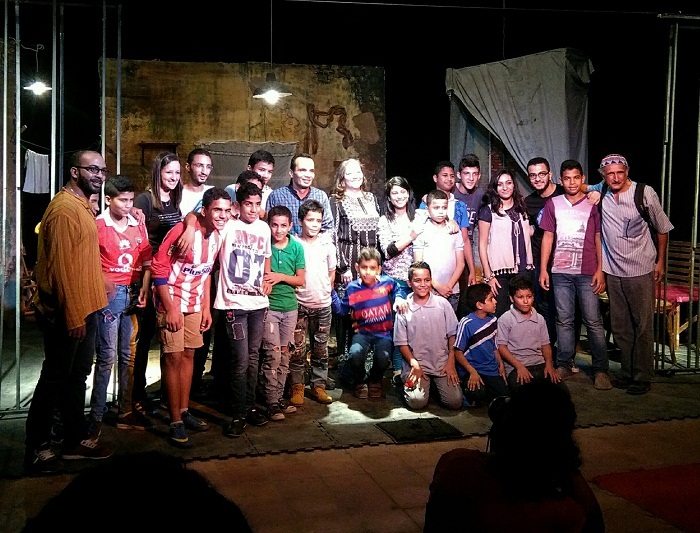 This year’s programme was divided into three parts, including a short children’s play written by iconic vernacular poet Salah Jaheen titled Al-Fil Al-Nounou Al-Ghalabawi (“The Curious Little Elephant”), a drum recital and a one act play improvised by the older children. The programme offered proof of how art can truly be therapeutic and bring out the best in all of us. Caroline Kamal, the woman behind the initiative, has been working with at-risk children for five years and counting and feels that theatre is the key to change and healing. “I love the theatre and have joined numerous theatre workshops. I am quite certain that theatre has a healing effect, because it puts a person in front of himself and the audience, allowing him to tell his story. I’ve always believed in theatre and when I introduced my idea to the Jesuit NGO they decided to help,” Kamal explained. Working with almost 65 homeless boys who left street life to take refuge at CARITAS and Al-Horia NGO’s in Cairo and Alexandria respectively, Kamal managed to showcase amazing talents. 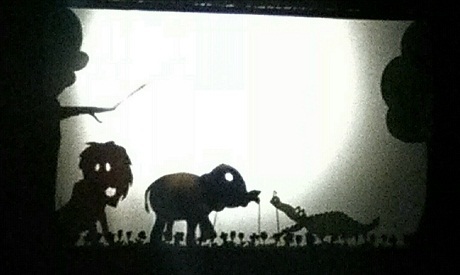 In Al-Fil Al-Nounou Al-Ghalabawi, the boys employed shadow puppets while singing and acting with talent rarely found in professionals. Like the curious little elephant, the children managed to explore their gifts and focus the challenges of their lives into an inspiring artistic performance. 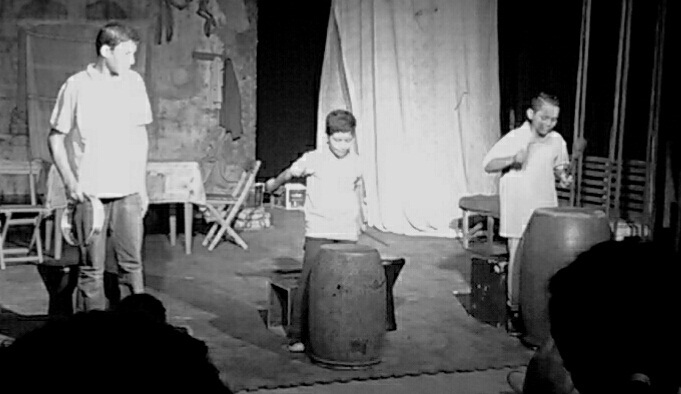 The second performance of drum beats was refreshing and experimental. The children made use of drums, tabla (a percussion instrument similar to the bongo) and big plastic containers to achieve different rhythms. The final play, titled “Over 18” focused on the future life of teens when they turn 18 and are no longer children under the guardianship of the state. The dialogue—mostly improvised, but edited by the talented director Mohamed Raafat—is witty and funny, yet the fear and hope of those who have tasted the harshness of life on the streets, and their sincere desire never to return to it, echoes throughout. There were moments when a performer would reveal the reasons they ran away from home to begin with. Though each story was unique, parental abuse and domestic violence were common themes. One wonders at the end why parents would curse their greatest blessings. “These children are of a high caliber,” Omar commented, and we couldn't agree more.